Why we even have this story up in here is because of the great admiration and respect that we have as a magazine for individuals who go out of their way to ensure that as the human race we can appreciate our differences without having to hold them against each other. 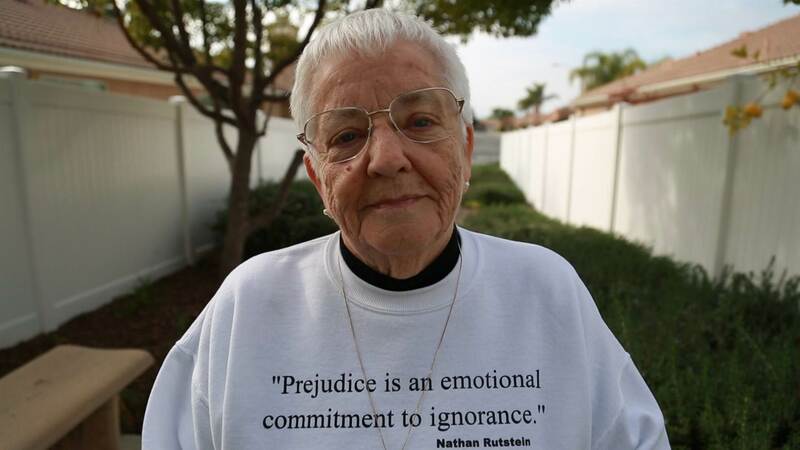 Jane Elliott (née Jennison; born May 27, 1933) is an American former third-grade schoolteacher, anti-racism activist, and educator, as well as a feminist. She is known for her “Blue eyes–Brown eyes” exercise. 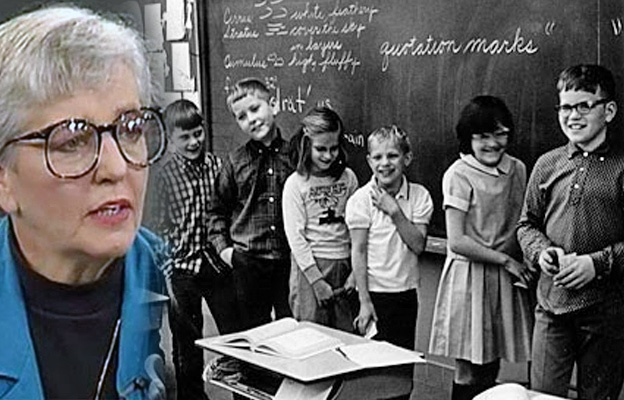 In 1968, following the murder of civil rights leader Martin Luther King, Jane Elliott tried discussing issues of discrimination, racism, and prejudice with her third grade class in Riceville, Iowa. Not feeling that the discussion was getting through to her class, who did not normally interact with minorities in their rural town, Ms. Elliott began a two-day “blue eyes/brown eyes” exercise to reinforce the unfairness of discrimination and racism: Students with blue eyes were given preferential treatment, given positive reinforcement, and made to feel superior over those with brown eyes for one day; the procedure was reversed the next day, with Ms. Elliott giving favorable preference to brown-eyed students. 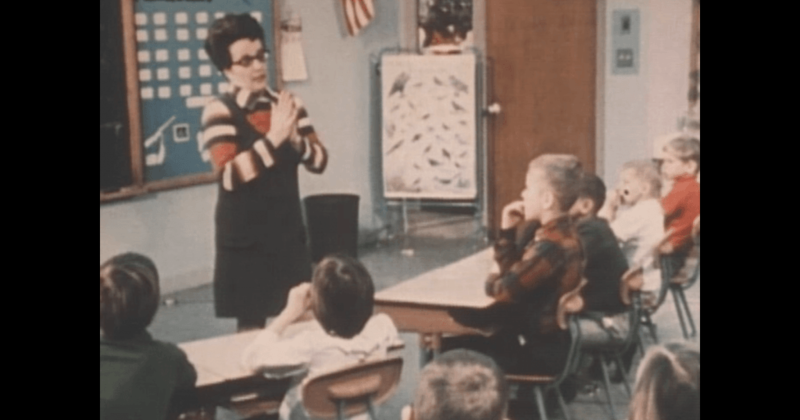 As a result, whichever group was favored by Elliott performed enthusiastically in class, answered questions quickly and accurately, and performed better in tests; those who were discriminated against felt more downcast, were hesitant and uncertain in their answers, and performed poorly in tests. On the evening of April 4, 1968, Elliott turned on her television and learned of Dr. Martin Luther King Jr.’s assassination. She says that she vividly remembers a scene in which a white reporter pointed his microphone toward a local black leader and asked, “When our leader [John F. Kennedy] was killed several years ago, his widow held us together. Who’s going to control your people?” Shocked that a reporter could feel that Kennedy was a “white people’s leader”, she then decided to combine a lesson that she had planned about Native Americans with a lesson that she had planned about Dr. Martin Luther King Jr. for February’s Hero of the Month project. At the moment she was watching the news of King’s death, she was ironing a teepee for use in a lesson unit about Native Americans. To tie the two lessons together, she used the Sioux prayer “Oh great spirit, keep me from ever judging a man until I have walked in his moccasins.” She wanted to give her small-town, all-white students the experience of walking in a “colored child’s moccasins for a day.” The following day, she held a class discussion about the lesson and also talked about racism in general. She later said: “I could see that they weren’t internalizing a thing. They were doing what white people do. When white people sit down to discuss racism what they are experiencing is shared ignorance.” Most of Elliott’s eight-year-old students were, like her, born and raised in the small town of Riceville, Iowa and they were not normally exposed to black people. She felt that simply talking about racism would not allow her all-white class to fully comprehend racism’s meaning and effects. 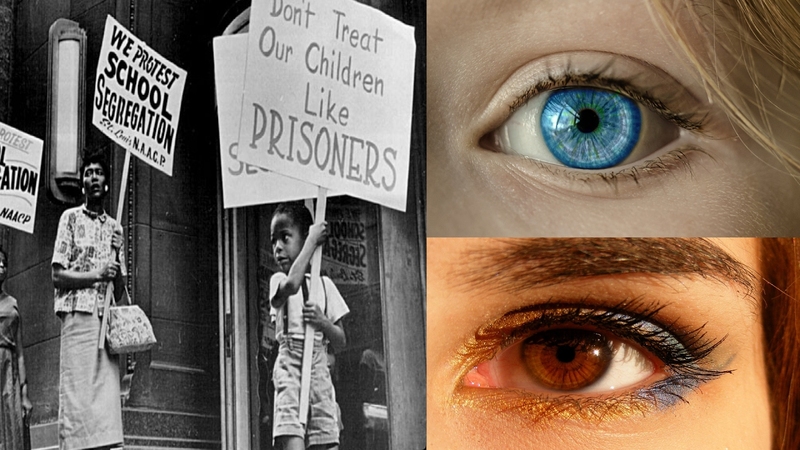 Tagged with:Blue eyes–Brown eyes" exercise., Iowa, Jane Elliott, John F. Kennedy], Martin Luther King, née Jennison, Riceville, The blue eye brown eye experiment, The Tonight Show Starring Johnny Carson. Previous PostWhat Happens when Rural Africans Eat American Fast Foods For 2 Weeks.